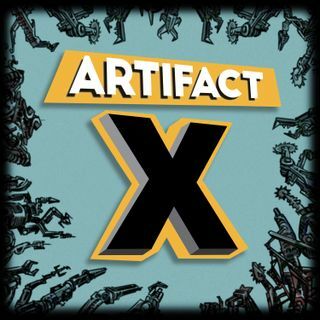 ARTIFACT X is the serialized audiobook science fiction adventure that asks, “How do you save the world— when you’re grounded?” Enjoyable by anyone, it is primarily intended for young people age 7-13. It is written and produced by New York Times bestselling author Jonathan Hennessey. Artifact X is the story of twelve year-old Brant Haughton, a military family kid from San Antonio. All Brant wants is to be good, really good, at something. He is surrounded by friends and family who seem to have ... See More scored off-the-charts talents. But Brant, fearing deep down that he will never have some specialty of his own, has ended up pretty much quitting every sport and hobby he’s tried. Now Brant believes he has finally found the talent he is destined for. And it's the coolest thing ever: building and fighting handmade, remote-controlled robots. The competition from other kids in elite robotics programs, however, is intense. And Brant’s father, who disapproves, works to keep his son on permanent lockdown in the army base they call home. Can he be stealthy and resourceful enough not to get caught? Well, he'll try. Brant sneaks out to comb a junkyard for spare parts: disused electronics out of which to engineer his ultimate robot champion. There Brant and his best friend uncover a charred fragment of mystery machinery that seems to have a mind of its own. What is this “Artifact X?” And what does it have to do with a secret alien invasion that has taken place while no one—well, almost no one—was watching?